The Internet of Things #Infographic ~ Visualistan '+g+"
The 'Internet of Things' (or IoT) is a commonly misunderstood phrase, with many people thinking it refers to things like turning the kettle on from your phone. In reality, however, it is a world-vision of interconnected devices, vehicles, buildings and other appliances. These things communicate with each other wirelessly, carrying out independent actions without the needs for human interaction. The scope is ginormous - In fact, the analyst firm Gartner says that there will be over 26 billion connected devices by 2020. By this time, basically anything that can be connected, will be connected. IT Support provider, Conosco, have unpacked key Internet of Things questions in this infographic: What is the internet of things? 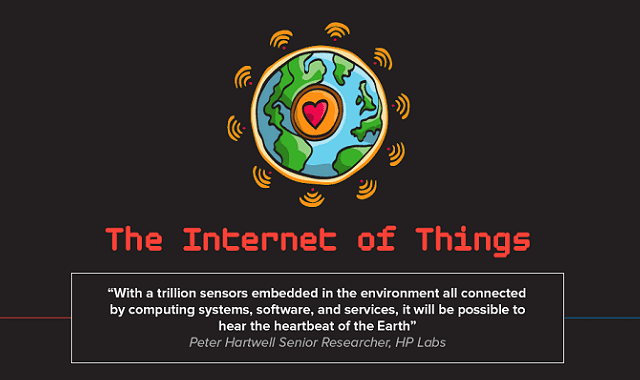 How was the internet of things born? Which countries are leading the way? And what are the public’s concerns, controversies and criticism? For now, the best thing we can do is educate ourselves about the IoT and its potential impacts on how we live and work.